The end of the year is such a busy time. 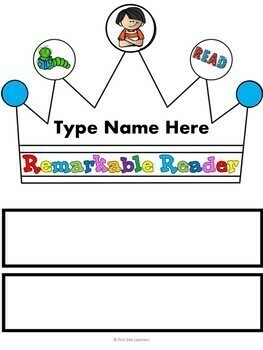 These editable award crowns will let you give each child his own personal award for being an awesome kid. 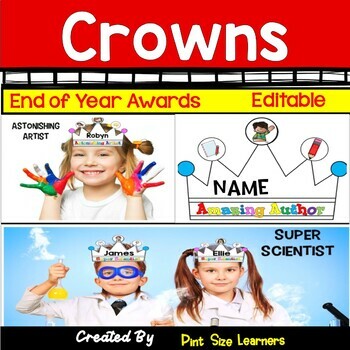 Our kids love wearing these award crowns around the school on the last day of our year together. Everyone can see what a spectacular student they are. • There are boy crowns and a girl crowns for each award. 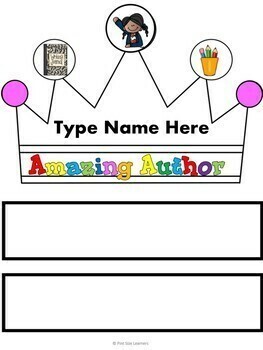 • The crowns are editable with a textbox inserted in the middle of the front of the crown. 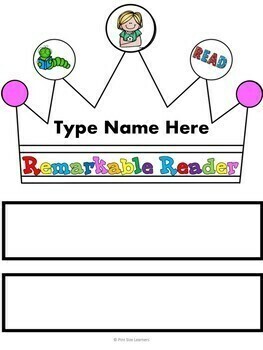 You can personalize the crowns by adding the students’ names, or anything you want. • We have included headband extensions at the bottom of each page if you need them. We always use a sentence strip stapled to the crown and then staple the ends together after you have measured it on the students’ heads. • If you want any of the pictures of the children in the center circle changed to match skin or hair color etc. please email us at thefunfactory12@gmail.com and we will be happy to make the changes if possible. ⭐ Very cute! The kids loved them! Thank you! ⭐ LOVE these for the end of the school year! My kinders love the personalized touch! ⭐ These are super cute and appropriate for my class! Thank you. ⭐ These are perfect! My students loved seeing what everyone got! ⭐ This was great for celebrating the end of our first Readers Workshop Unit!!! ⭐ I loved these, as well as my students who received them. Thanks so much.